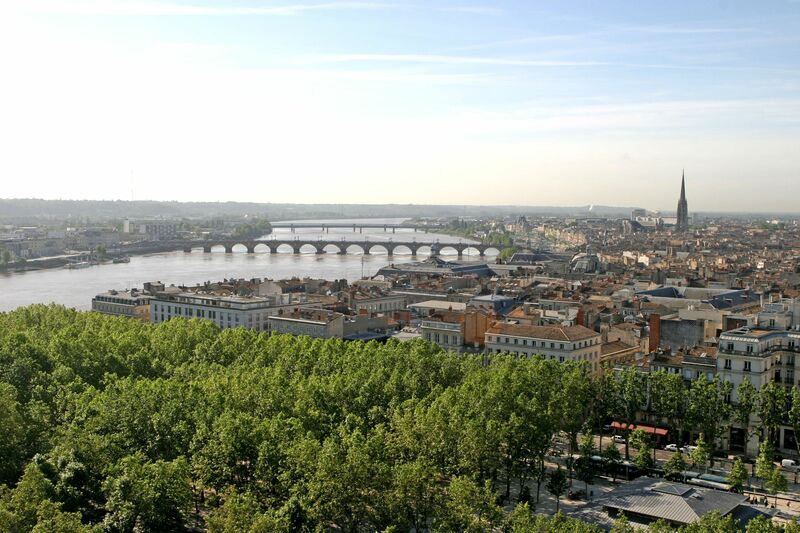 Bordeaux's widespread appeal is already established, being known by many as the wine capital of the world. In addition to this, the city has recently undergone significant renovation to transform it from La Belle Endormie (Sleeping Beauty) into a vibrant and exciting city to visit, with its pedestrianised city centre, stunning riverfront and elegantly restored architecture. We’ve put together some of the highlights. The Centre of Contemporary Visual Arts (CAPC) is home to almost 1,300 works of art and its expansive collection has featured well-known artists such as Andy Warhol and Pierre Alechinsky. Housed in an old warehouse, displays celebrating the past half-century of culture are all the more striking against the backdrop of atmospherically lit stone. As well as the permanent collections, a range of temporary exhibitions take place throughout the year. Currently, you'll find a presentation of British artist Richard Long's works, which celebrates wild spaces. Take a guided tour to get the most out of your visit. Drop into the Museum of Wine and Trade – located in a former merchant's house in the heart of the city's historic wine quarter – to brush up on your knowledge of Bordeaux's most famous export. While exploring three charming vaulted cellars, you'll discover fascinating artefacts that tell the story of the great merchant families and the history of the wine making process in Bordeaux, which dates back to the middle ages. 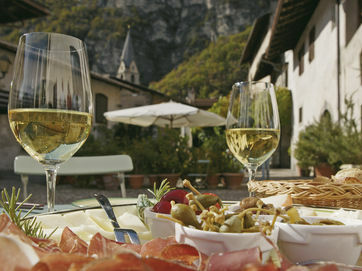 You’ll also have the opportunity to sample some wine in the dedicated tasting room. The old neighbourhoods of Ste Croix and St Michel traditionally housed tradesmen who worked at the nearby port, and were a mecca for artisans hoping to buy exotic materials for their work. These days, the bustling flea market held on Sundays in St Michel attracts a similarly creative crowd. It takes place near The Flèche, a 114m free-standing bell tower which is part of the St Michel church. The Gothic architecture alone makes it worth a visit, but you can also climb it for panoramic views of the town and surrounding countryside. In Sainte Croix, don’t miss the abbatial church’s extravagant 12th century façade. If you'd like to taste more of Bordeaux's finest tipples, and you're happy for someone else to take on the organisation, book a wine tour with the tourist office or with a private operator. 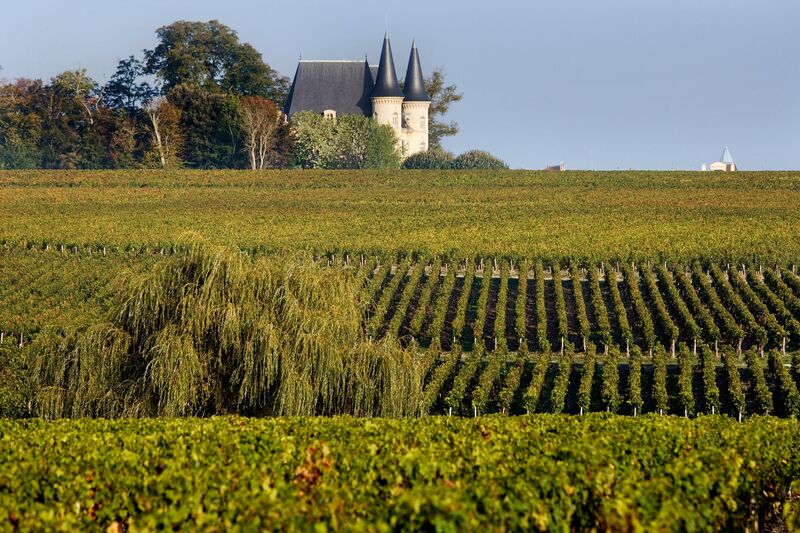 A few unmissable stops include Saint-Émilion, one of Bordeaux’s largest wine-making towns and well-known for its Grand Cru, and Médoc, where a number of wine châteaux distinguish the landscape. Visit Château Latour to sample some of their Forts de Latour and wander historic grounds overlooking the wild waterways of the Gironde Estuary. A wide boulevard runs along Bordeaux's once abandoned riverfront, which now features a number of rejuvenated quays and pleasant gardens. 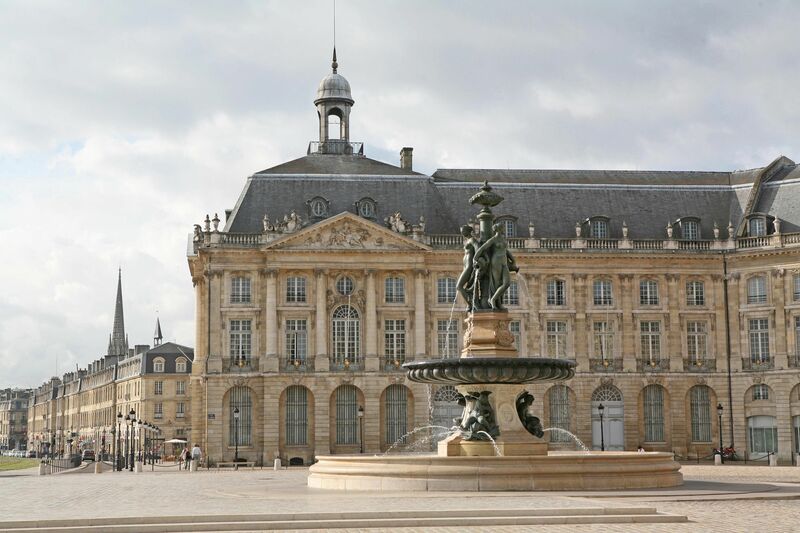 The star attraction is the striking Place de la Bourse which contains the Miroir d'Eau, a shallow stretch of water designed to provide a crystal-clear reflection of the grand 18th century Palais de la Bourse. Stroll a little further to find the Esplanade des Quinconces, the largest square in Europe, which contains a dramatic fountain decorated with bronze statues that depict France’s history.